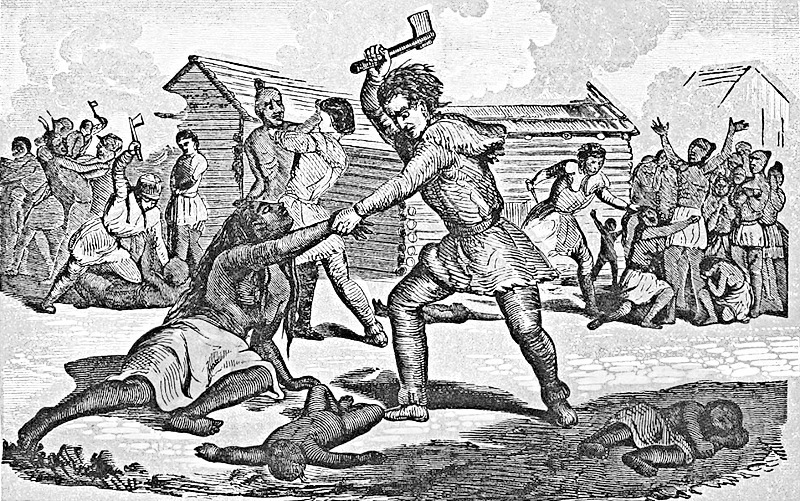 It is rare that the colonists recognized their own actions as "massacres", but the 1782 mass murder of 96 peaceful Christianized natives in Ohio (in the majority women and children) is an exception; it was embarrassing in a context where usually a pretext was sought for expulsion or mass murder. Credit: Taken from Henry Howe, The Great West (1852). CC-0 or public domain. 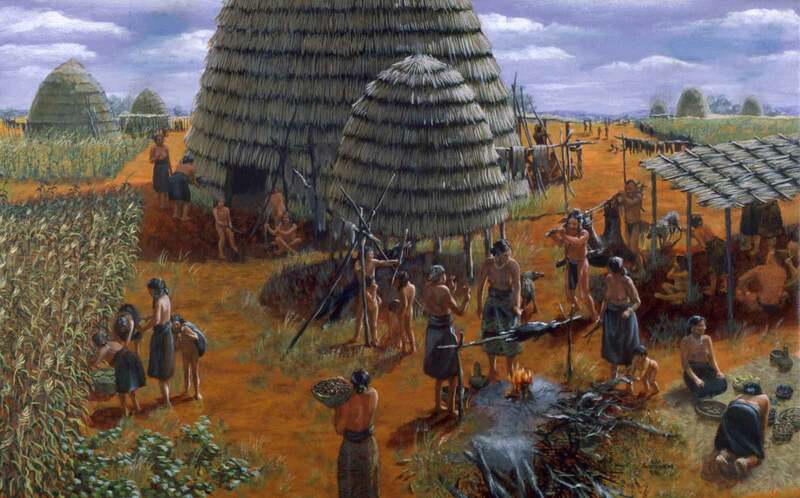 Caddo village, c. 1000 CE. Credit: Nola Davis, Texas Historical Commission. Fair use. Market scene of Tenochtitlan before Spanish conquest by Diego Rivera (d. 1957). Note the human body part being sold on the market, which is suggestive of Aztec cannibalism, the extent of which remains heavily disputed among historians. Credit: Diego Rivera. Fair use. Data from OpenLibrary is in the public domain.